It seems we just can’t get enough! Join us for the November challenge! You can see what everyone shared in the October challenge here, and check out all of the links at the bottom of the post. 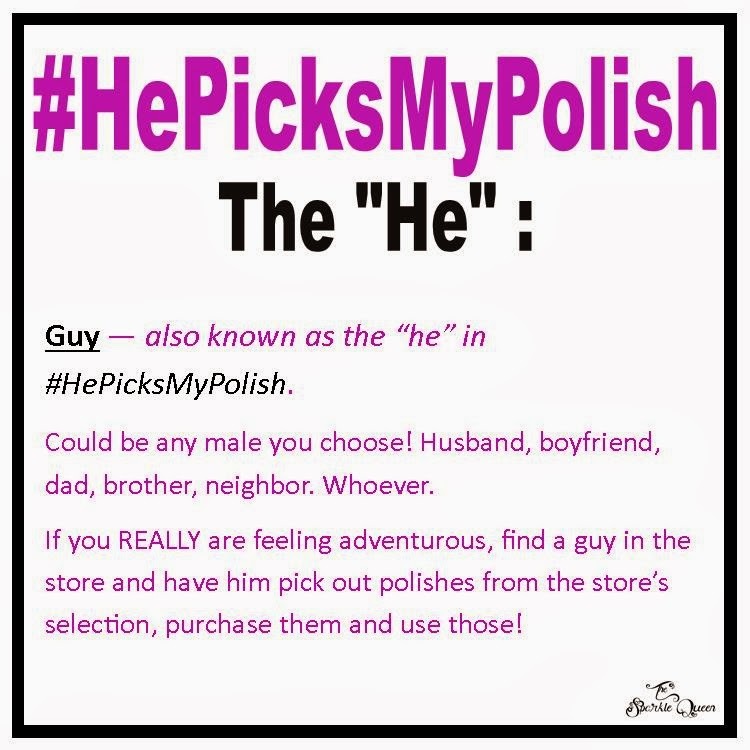 The #HePicksMyPolish Facebook group decided to mix up the challenge a little this month, and are welcoming a #ShePicksMyPolish challenge this round. Pretty much, instead of a he, you can have a she! We’d love to have you join us! The more the merrier right? THIS LINK will take you to the inlinkz page for the coding details. And while you are joining in, why not join our #HePicksMyPolish Facebook group? 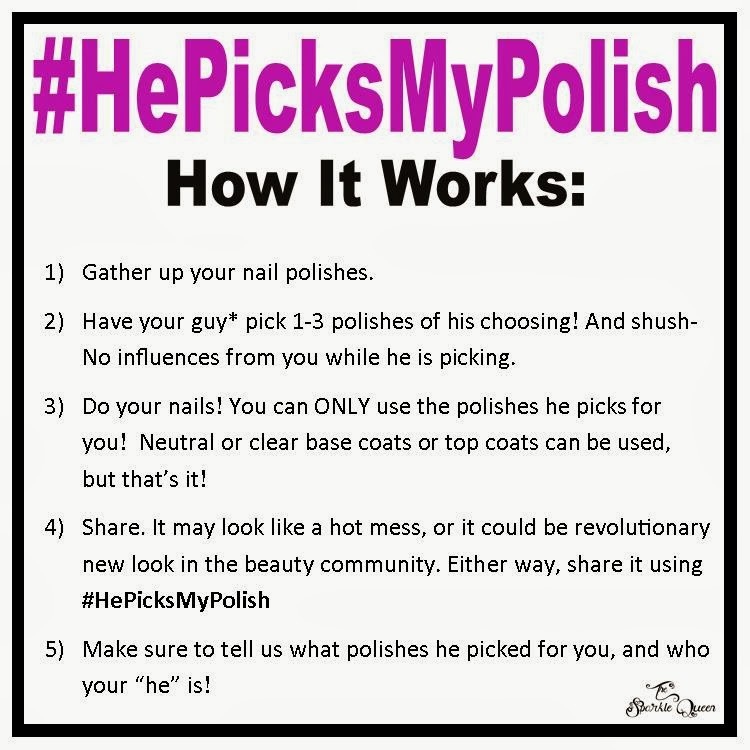 Don’t worry, if you aren’t a blogger but still want to participate, share using the #HePicksMyPolish tag on Twitter, Instagram, or on my Facebook page so I can see (and share!). You can of course join the group and share there too!